A Feast for the First Night of the Prophet and His Bride – Zero Equals Two! This Sunday, August 12, will be the 115th Feast for the First Night of the Prophet and his Bride. 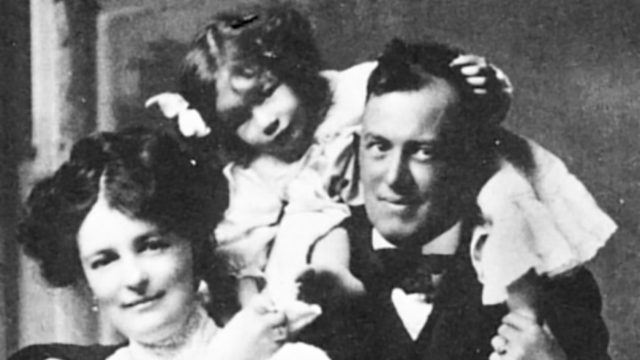 Rose [Edith Kelly] and Aleister Crowley married on August 12 1903, allowing her to escape an arranged marriage. This marriage, first of convenience, led to what would turn out to be one of the most important events in Crowley’s life — the writing of the Book of the Law. Rose and Aleister had two children, Nuit Ma Ahathoor Hecate Sappho Lilith (born 1904, died 1906) and Lola Zaza (born 1906). 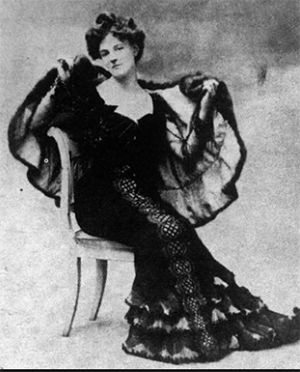 Rose and Aleister divorced in 1909. Enjoy this romantic dessert in memory of the First Night! Spoon 3 tablespoons filling over crust in each cup. Drop 2 dots of raspberry puree about 1 inch apart in cupcake. Drag the tip of a toothpick or wooden skewer down through centers of dots to create a heart. Happy 112th Feast of the First Night of the Prophet and his Bride!